Beyoncé spent the summer performing to sold out crowds on her Formation World tour. Along the way she made sure that her politics would not be overshadowed by her celebrity. After the killings of Philando Castile and Alton Sterling in July, she stopped her show to pay tribute to victims of police violence and wrote an open letter championing the cause against police brutality. But more than a year before the Formation video broke the internet, she foreshadowed their move away from the inoffensive and readily palatable. At the Grammy’s in 2015, she performed the gospel classic “Take My Hand, Precious Lord” with a choir of Black men accompanying her. The men, dressed in all white, performed simple choreography that included a reference to “hands up, don’t shoot,” the rallying cry of angry protestors in the wake of Mike Brown’s killing in Ferguson, Missouri. 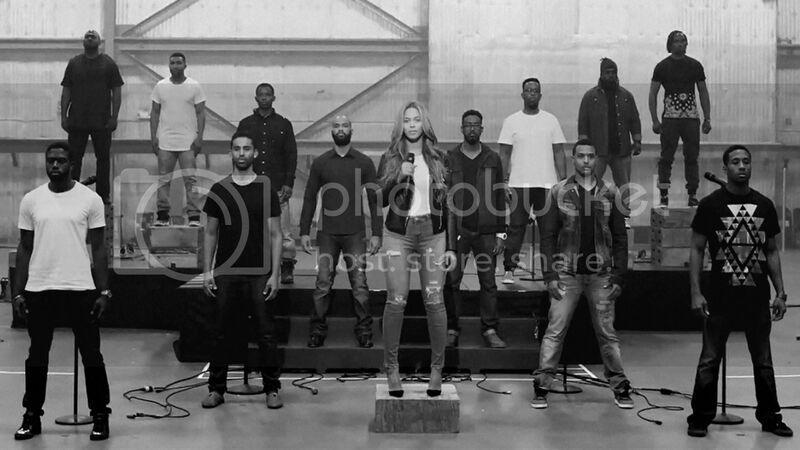 To clarify her intentions, Beyoncé released a a mini-documentary on the making of the performance. “I felt like this is an opportunity to show the strength and vulnerability in Black men,” she said. She went on to describe herself as a vessel for the past and continued suffering of Black people including her father who grew up in segregated Alabama. “Now I can sing for his pain,” she reflects. “I can sing for my grandparents pain. I can sing for some of the families that lost their sons.” Despite her best efforts and a shimmering, diaphanous gown, the performance was rather unspectacular, and Beyoncé’s invocation of the gesture got lost in the controversy surrounding her perceived sleight to another performer. But, perhaps, that was a good thing. Beyoncé dipped her toe into the waters of Black Lives Matter with nary a peep.